Well that was my take on it too. I really just wanted to make that IO is really inconsistent joke. Or maybe 47 took out Silvester before the mission… guy could’ve been donning a wig - just like the Hokkaido hospital Director. Could also just be a static shadow from the headwear. Where is this from? I like it alot. 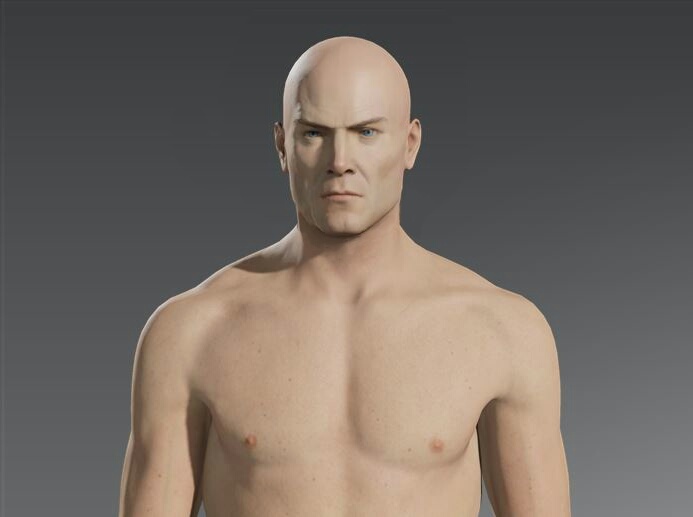 Very early concept art of Hitman 2016. Iirc it is not Diana but an unknown character. I see. Honestly, I feel like HITMAN could have been so much better, when thinking about such characters/atmosphere/tone of the overall game. Maybe there is hope for season 3! Replaying Absolution I took some time to observe better 47’s body. I love the effort they put to make him look as experienced as possible. But I’m left wondering from where he might had got those burns on the chest and the right arm. Plus that muscle tone and body shape. Really looks like a 50 year old man who’s a lot into fitness. Looks very cool. I just realised The Patriot doesn’t wear overtly Patriotic clothing. With that motif he should have been called “The Living Weapon” which would have been better and humorously ironic. Is his head clipping through the back of the hood? Un-play-a-ble! Isn’t that the lighting again tho? The one coming from the side doesn’t do him any favours, but if you look at it under one coming from above, similarly to the lighting on those Absolution pics, it’s not that bad. Dunno, i think i prefer the H2 look, but it just needs some contour shading, so it works with the more diffused lightning too. 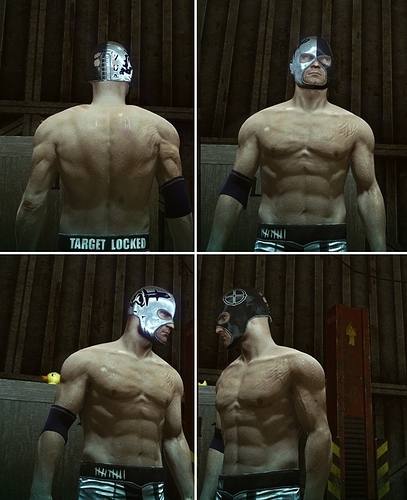 The Absolution one looks too caricature-y and dehydrated for current game’s aesthetics imo. 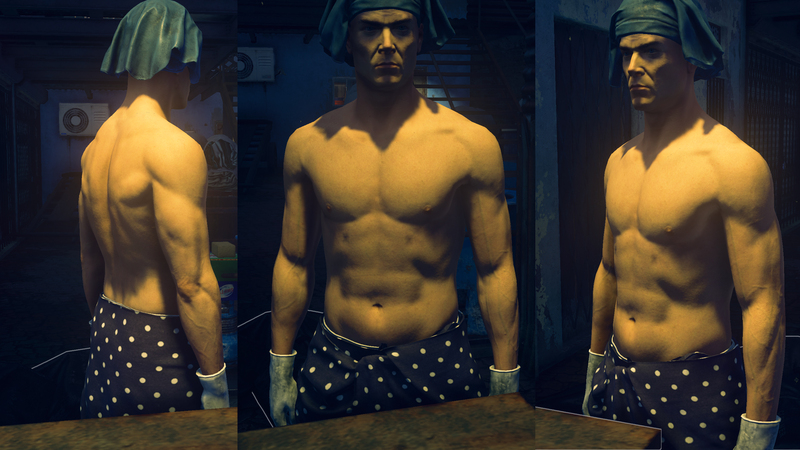 i want a shirtless 47 suit!